European audiobook publisher, Storytel, launched in the U.A.E. in 2018—its first subsidiary to offer both English and Arabic titles. 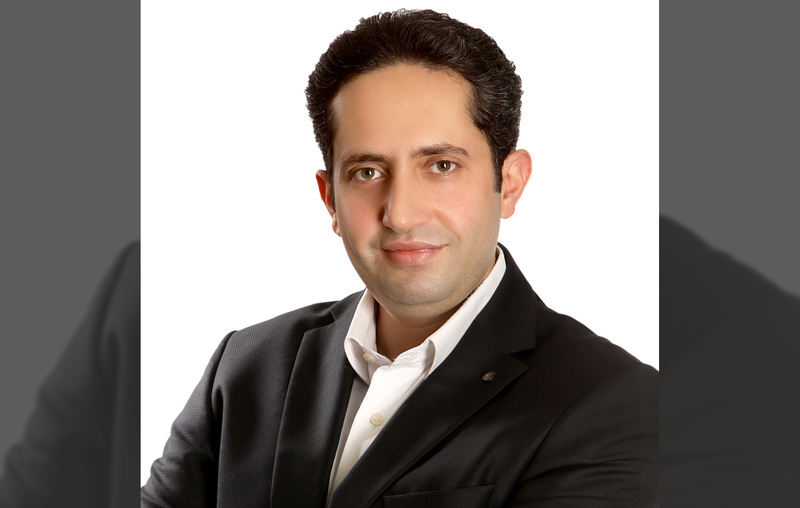 Ammar Mardawi, Country Manager for Storytel Arabia reveals how it is growing and why the Arab market is primed for audio. Storytel is an audiobook service—for a monthly subscription you get unlimited access to audio books in English and Arabic, as well as eBooks. In our region lots of people say that they don’t read as much as they want. Audio books are an excellent opportunity for reluctant readers—over 75% of subscribers say that they finish more books now than they did before. With entrepreneurs, no-one is in it for the money, we are in it for a goal and I wanted to have eBooks available in Arabic for everyone. When eBooks came out I fell in love with them and I start reading everything in that format. I wanted to have that in Arabic because after a while I wasn’t reading any Arabic books, I was reading exclusively in English because that’s what was available. I had launched an Arabic eBook store, Yaqut, in 2015—we’ve now rebranded to Rufoof. In Arabic there is a huge library of books in the open domain and they’re very well-read books. Unlike any other language, people still read books that have been written over 200 years ago. We got all these books, created an eBook version, and now they’re available for free—over 17,000 books. Storytel relies on finding a good team of entrepreneurs who know the local market. Publishing is a very local industry that varies a lot between market to market. We have 22 countries in the Arab world, but it is only one publishing industry, which is apparent in the way books are distributed and sold. Over 50% of Arabic books are actually sold in book fairs that move from city to city. How big is the potential Arabic market for audio books? Arabic is the fourth widest spoken language in the world, with over 400 million native speakers. Even if you look at the modest surveys looking into who consumes Arabic books, the lowest number you would find is 10.5%—so that translates to 40 million potential users and that’s a huge market for us. At the beginning it’s tech-savvy young people that are the early adopters and they quickly grasp the idea and get into the habit of listening to audiobooks really quickly in their day-to-day life. But then as the market matures and awareness spreads it becomes more about the older generation—above 45 years of age. Especially women rather than men. What kind of new technology are you using? One of the cool technologies we have is automatic syncing between audiobooks and eBooks. So, you can start reading an eBook and then if next time you want to read it you’re in your car, you can start your audiobook off from where you left your eBook. How many Arabic titles do you have available? The audiobook industry is very new in the Arabic market, so we have to produce the books ourselves. Over 95% of the Arabic titles available on the service today are actually our own production. So far, we have about 600 Arabic titles, but we’re producing more at an average of two titles every day. By the end of 2018 our target is to have over 1,000 titles in Arabic. In English we have over 23,000 titles already. Our business model is to become a distributor of audiobooks, where we have several audio publishers working with us to distribute their audiobooks via our service. How do you produce those books? We have studios across the region, mostly Jordan, Egypt and the U.A.E. We’ve worked with over 82 narrators so far. It’s a long process that starts with acquiring the rights. This was a little difficult at the beginning as publishers and authors had no experience in how to deal with this. It’s similar to acquiring translation rights. Once we acquire the rights we analyze what’s in the book, we look into who is the most suitable narrator. If you have lots of different dialogues going on you need a narrator who is good with acting. What in your opinion are the main benefits of audio books? They are easy to integrate into your day-to-day life, and that’s driven by technology. Just a few years ago most people would listen to audiobooks on cassette tapes and CDs and it was cumbersome to have all the CDs with you in the car. Now it’s available on your smartphone, and with a streaming service you don’t even have to download the audiobook. The most popular thing to do while listening to audiobooks is drive. Then it’s doing homework or working at home. Another is relaxing at night before going to sleep—people listen to a few minutes of audiobooks vs watching something on a screen.